First, I have a wonderful and incredible story to tell you. 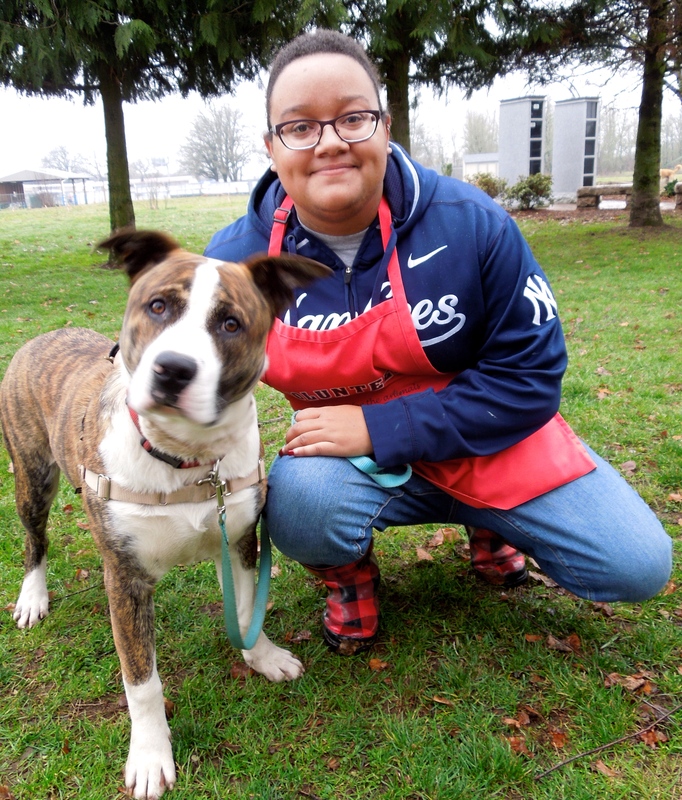 Last September 21, a young and very nervous Pit Bull Terrier pup named Summer arrived at WHS from California via our S.T.A.R.T. partner. 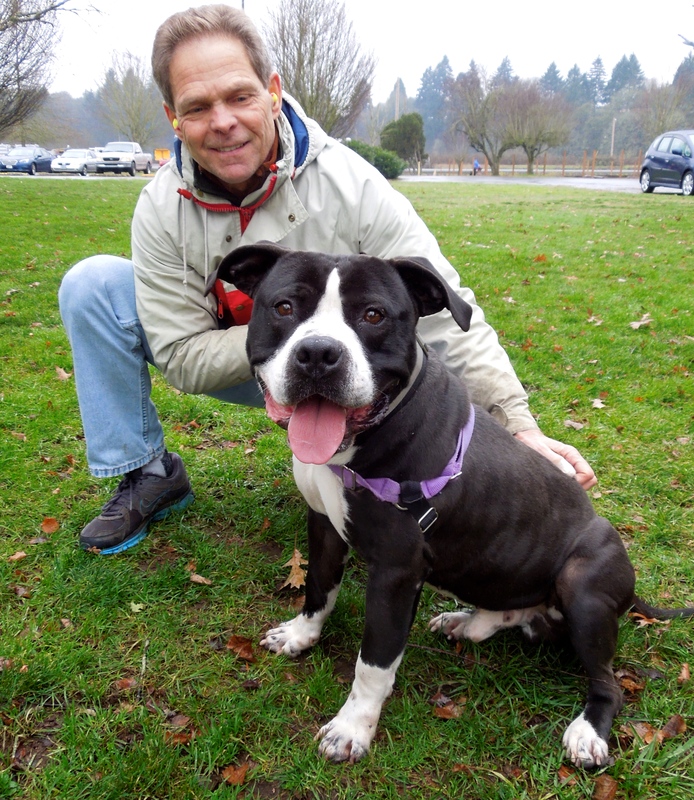 Because she was so frightened, she was immediately taken to a foster home. Very soon afterward, she panicked, crashed through a screen door and was gone into the night. Days of intensive searching by many WHS staff and volunteers were not successful. In the first few days, Summer was sighted several times, but no one could get close to her. Weeks went by, and as there were no more reported sightings, hope for her safe return dwindled. Then last Sunday, after 112 days, Summer was found! 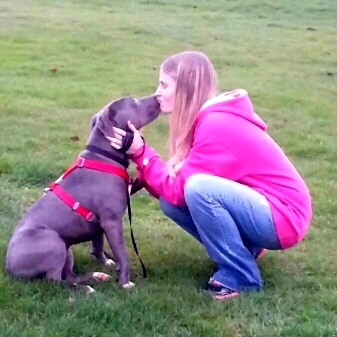 Volunteer Corrine is now fostering Summer and sent me an update and pictures. This is what she looked like when she went missing. 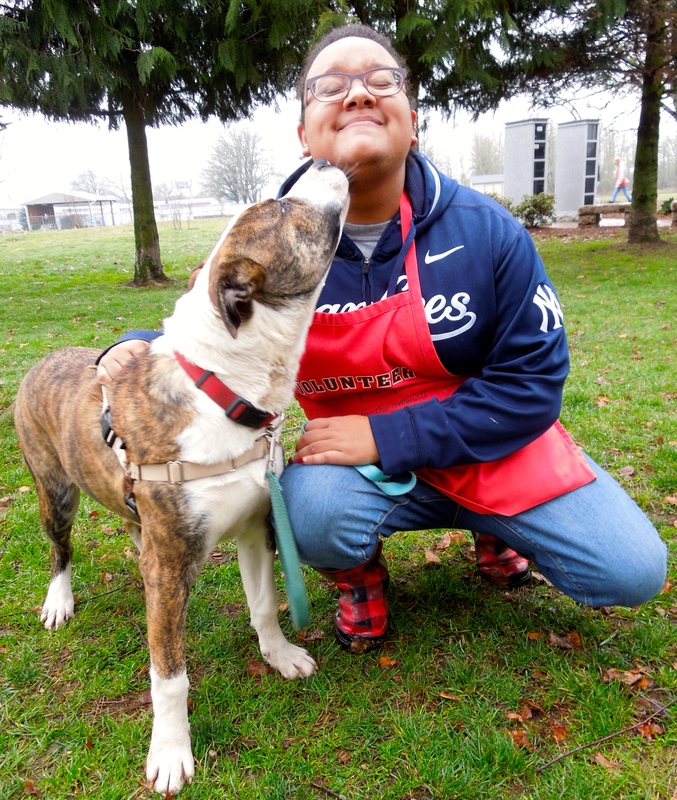 There were fifteen dog adoptions during last week. 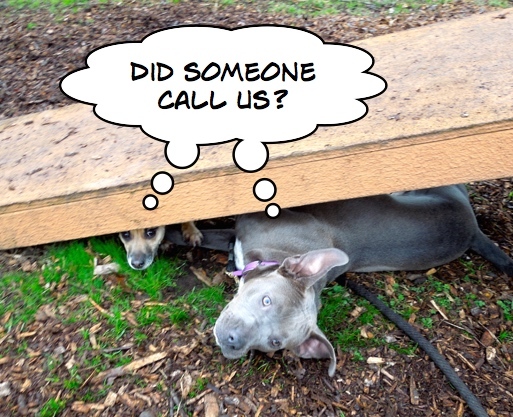 Three of them were Blog Dogs. 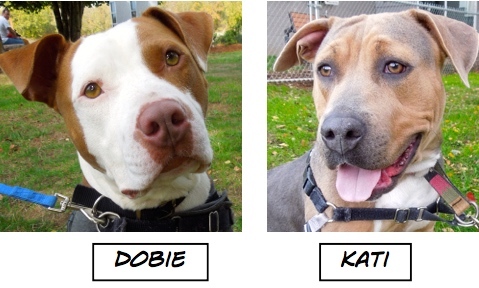 Dobie’s staff adoption picture was especially endearing. It seems he had a favorite WHS toy and wanted to take it with him to his new home. So he did. Here he is getting his final check-over with staff member Cassidy. 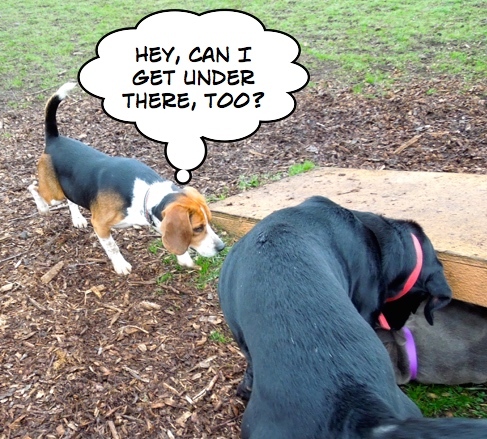 Sunday’s playgroup had some laugh-out-loud moments. The platform has become such a fun place for playing hide and seek. 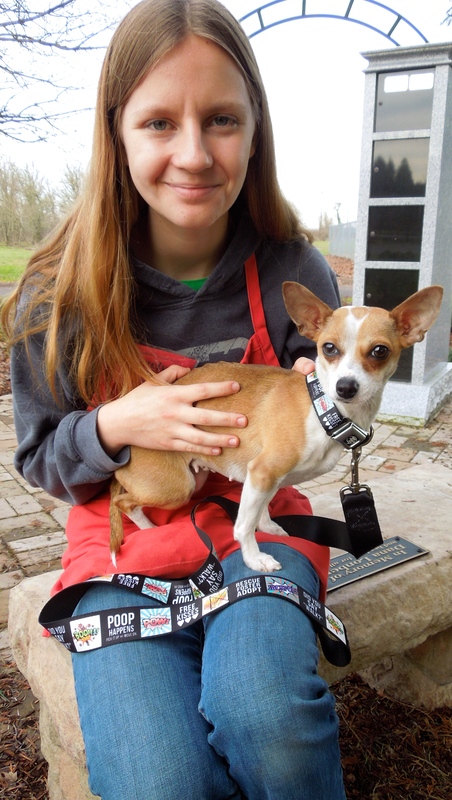 Staff member Jessi’s little Chihuahua mix, Graceland, is a fearless, lover-of-romping-with-big-dogs character. Her favorite game is to get the big dogs to chase her around the yard, only to dash under the platform where she can’t quite be reached. 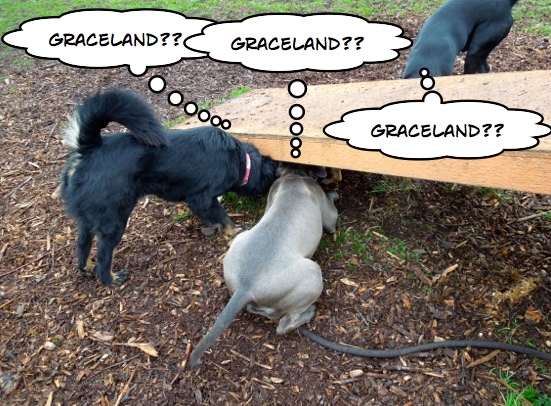 Graceland and Nana became best buddies very quickly. 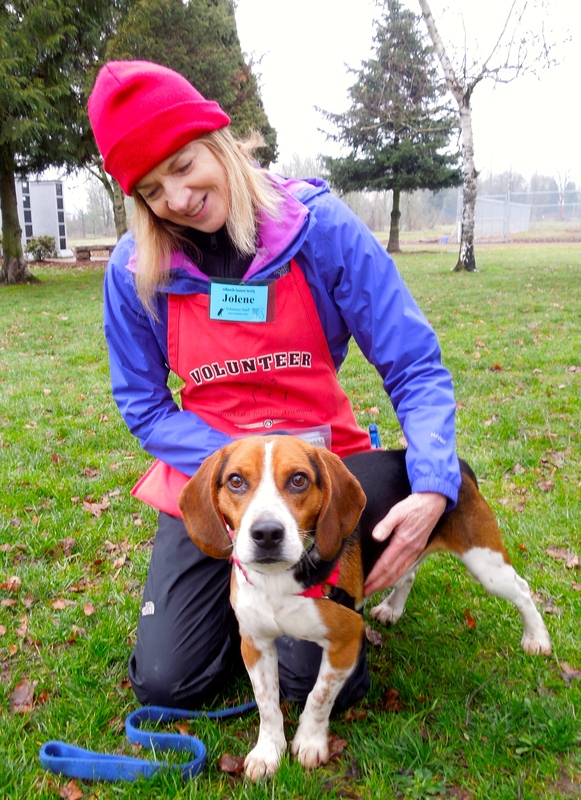 New arrival, Rocker, a very energetic Beagle thoroughly enjoyed playing on the Rough and Rowdy side with the big dogs. 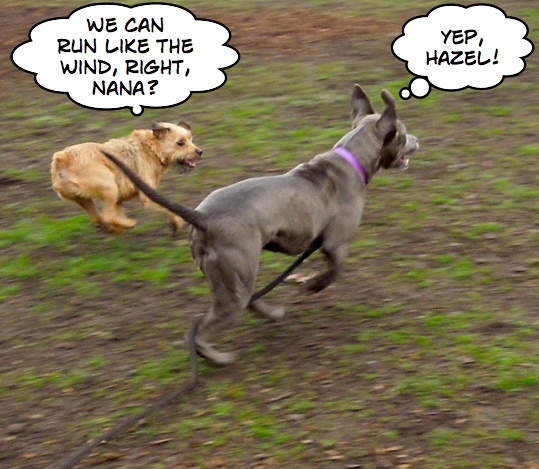 And little Hazel did her best to keep up with Nana. I’m a little under the weather, but I’m getting better every day! A new dog I met on Sunday is Hubert, a three-year-old Maltese/Yorkshire Terrier mix. Hubert is currently getting over a cold, but is feeling better each day. 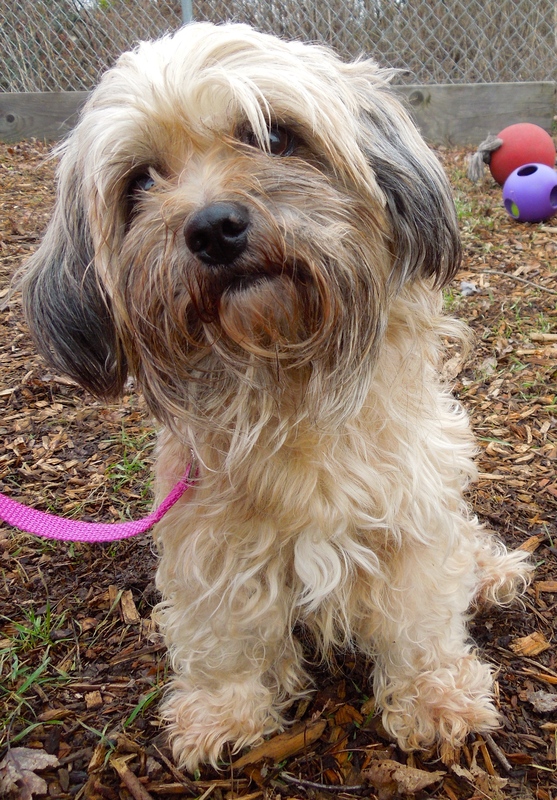 This cutie was found as a stray and as you can see, looks a little bedraggled, but don’t let that fool you. Hubert has just about the perfect personality. 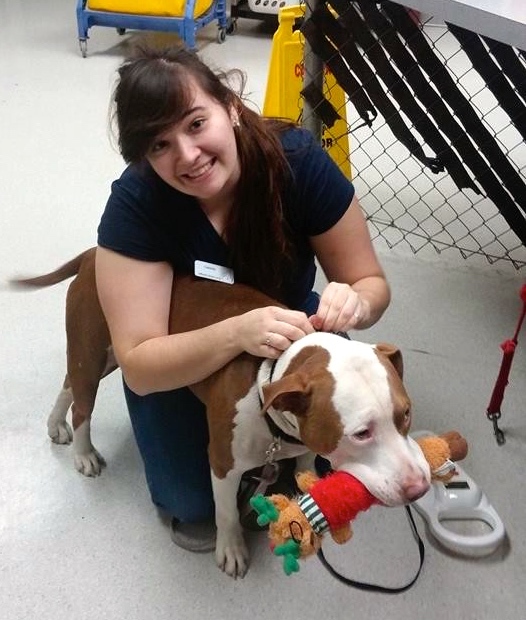 He scored extremely well on his behavior assessment and is such an affectionate, sweet boy. Jolene and I both fell for him. Some family is going to be mighty lucky to adopt this little guy. I’m still here…Martha can’t figure out why, though. I really can’t figure it out. I mean, look at this boy! This is the fourth week I’ve written about Duke. 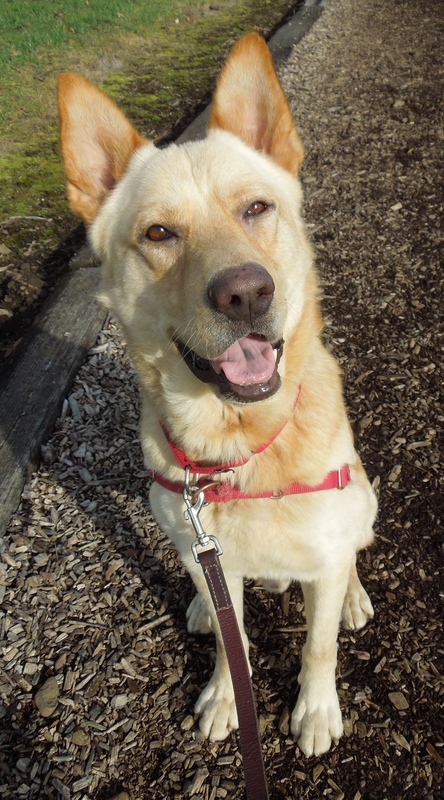 He is a two-year-old Chow Chow/Lab mix and as you can see, he is a very handsome boy. Granted, he has some issues so will need just the right home, but I’m sure his perfect family is out there somewhere. 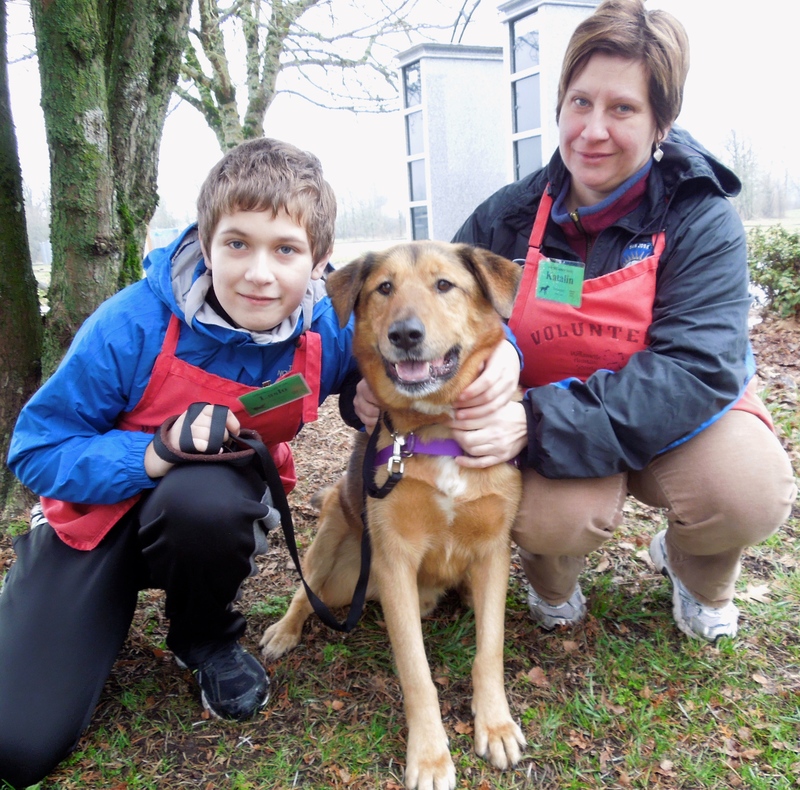 Duke’s kennel presentation isn’t the best, so he is located in the stray kennels, but is still very much adoptable. He loves to go outside and walks on leash politely. He is house-trained. He is very food-motivated and is a quick learner, so training him will be both fun and easy. Duke does like to go on adventures with or without you, and can jump a six-foot fence, so secure and tall fencing is a must for this boy. When he is excited, he can be mouthy, but just give him a few treats and he settles right down. He will need to go home with older kids. He’ll make the right person a loyal, cheerful best friend. Here he is with volunteer Jeff, one of his biggest fans. This afternoon when I took Duke out for a walk, he behaved so well and even posed for a few pictures. I really love this guy! Like my ears? They’re one of my many great traits! This beautiful brindle girl is named Korra. She is a six-month-old Dutch Shepherd mix. 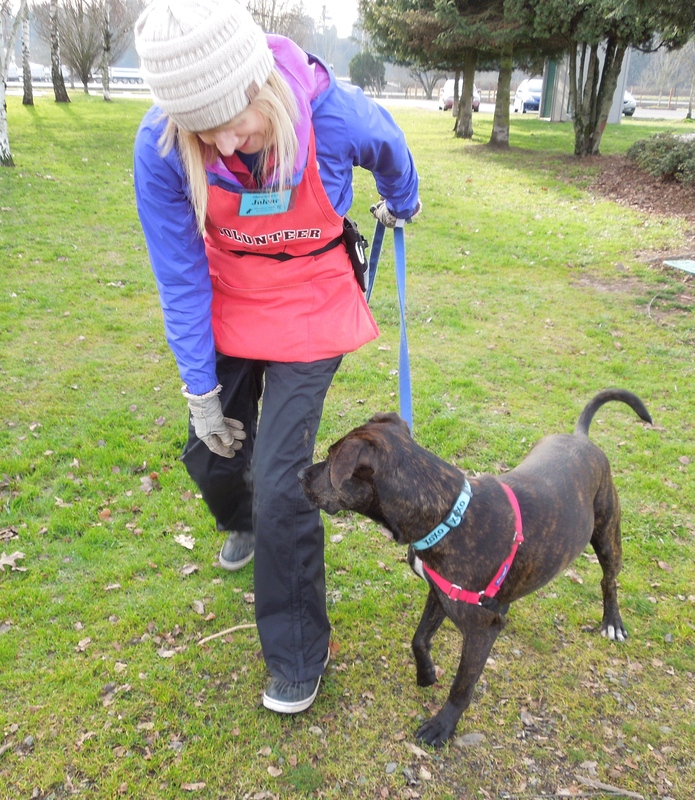 She was new to the shelter on Sunday and was feeling a little uneasy, but took my hot dog bits eagerly and quickly decided that Caroline could be trusted. 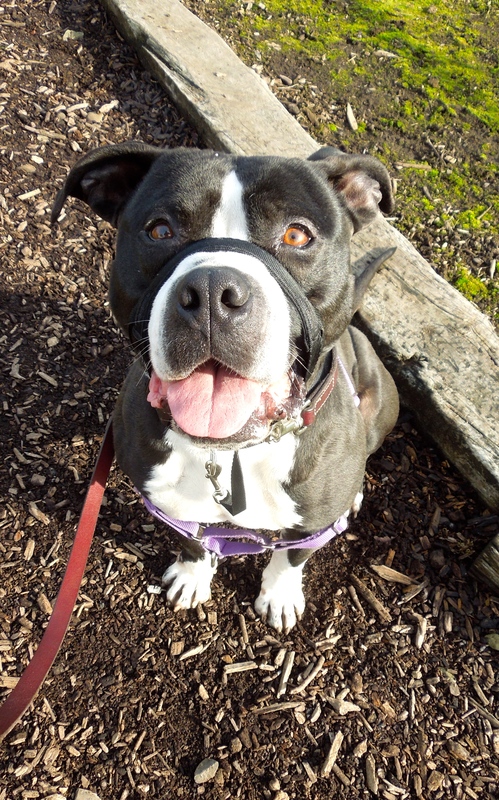 Korra is house-trained, walks pretty well on leash and knows some commands. Since she is treat-motivated, she will be easy and enjoyable to train. This girl is a keeper for sure! 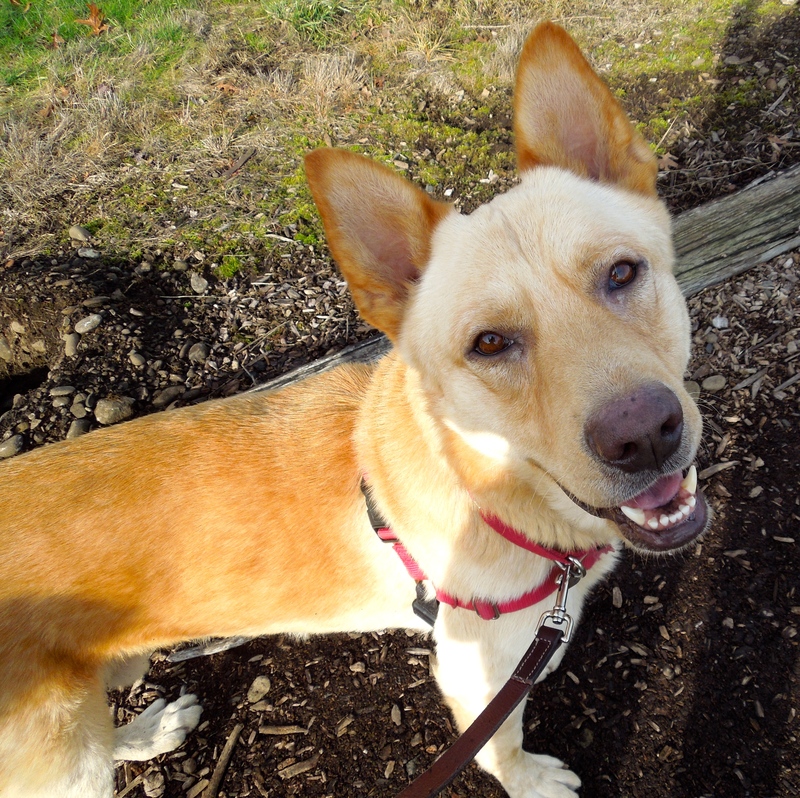 Yep, Koda is also a six-month-old Dutch Shepherd mix. Like his sister, he was a bit shy and nervous having just arrived at WHS. 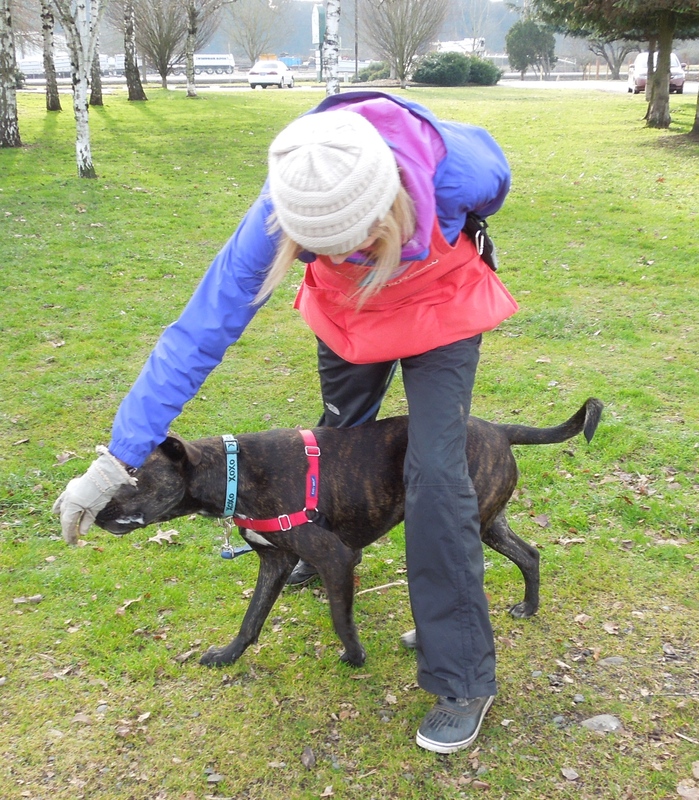 But he, too, warmed up to Caroline and happily took my treats. He will do best with older children. He scored very well on his behavior assessment and also knows several commands. Though I haven’t gotten a chance to know him well, I bet he’ll make a terrific new family member. I may be small, but I have a big personality! 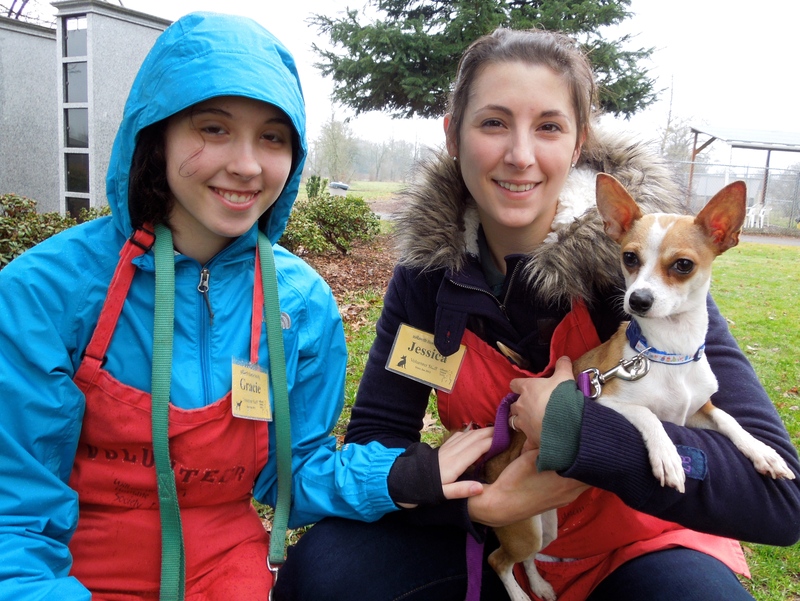 This is Daisy, a one-year-old, six-pound Chihuahua mix on Sunday with Gracie and Jessica. Notice that Daisy would rather be in Jessica’s lap than on the wet grass. Daisy will be a great little companion for the right person, but she does have a couple of issues. She does not like to share her food and she can get quite nervous in new situations. An adult home would be best for this little girl. She does love attention and hanging out with people, especially if you carry her. Here was Daisy today with Emelynn. 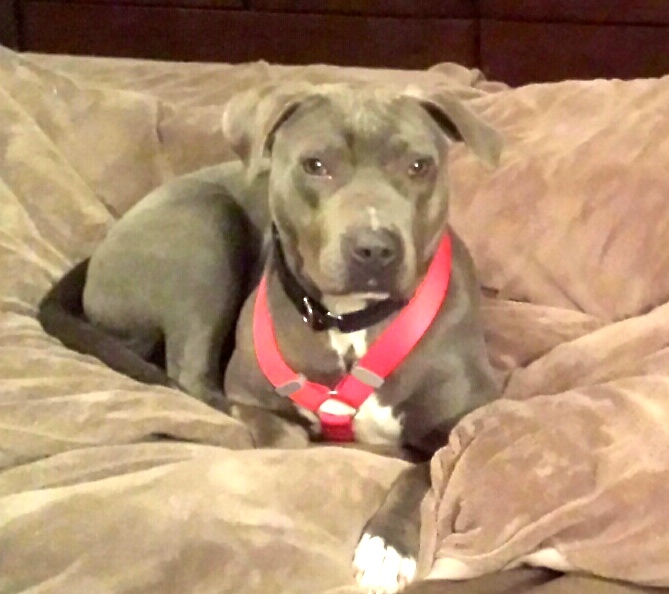 She is modeling a new collar and leash donated to WHS by Becky and Steve Mucha. I’m a happy, exuberant and very cute Beagle! You know you want me! Remember Rocker from playgroup? This little guy has no fear of the big boys. He loved romping in the big yard and could almost keep up with them. 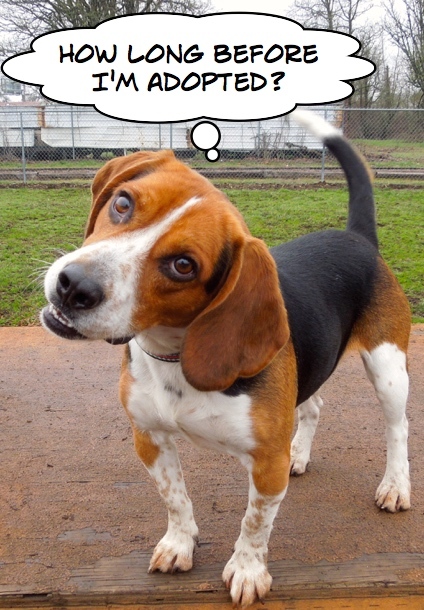 Rocker is a two-year-old Beagle mix. 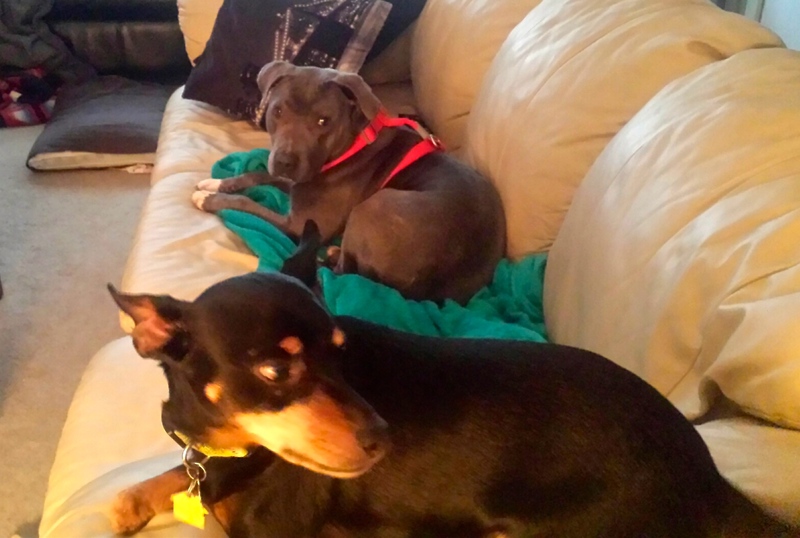 He is house-trained and has a good history with kids, other dogs, and even cats. 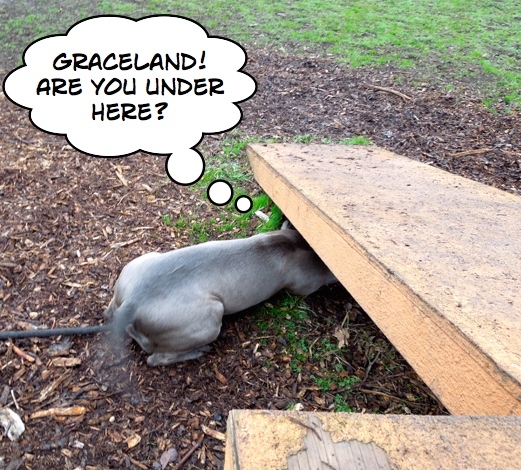 He will need a secure yard, however, as he also has a history of going on adventures by himself! 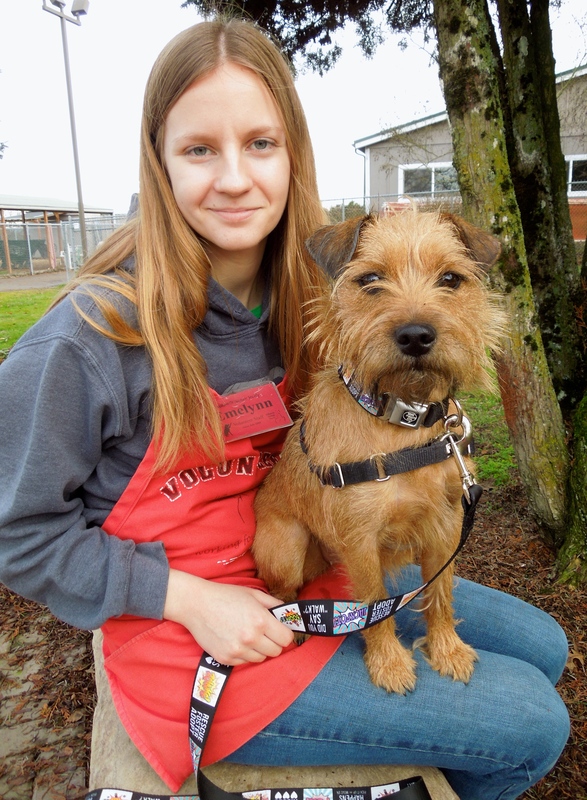 He scored very well on his behavior assessment and will be an active and highly entertaining companion. Yes, Trusty Rusty is back again. 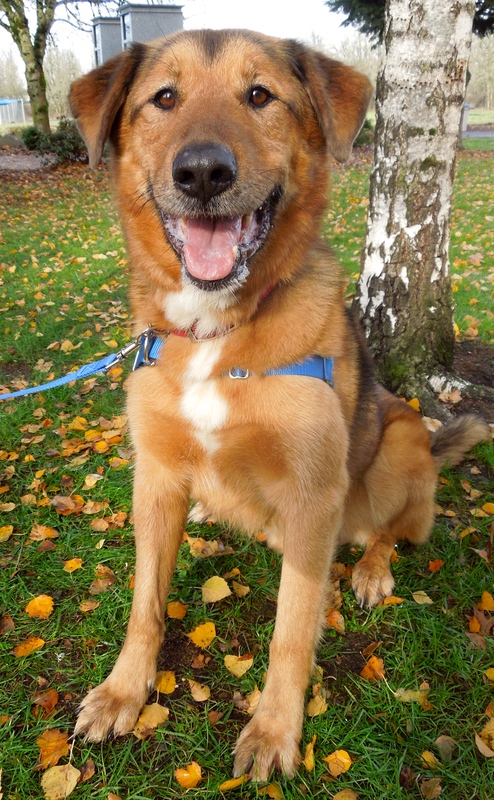 This ten-year-old Shepherd mix is looking for his perfect retirement family and hasn’t yet found it. Since he can no longer “hold it” for more than a couple of hours, he’ll need to be in a home where someone is there most of the time to let him out. (He’d also enjoy going to work with his person, if that were an option.) Rusty is also a bit of a magician, as his former people and his recent adopter say he can figure out how to unlock doors so he can go on adventures. 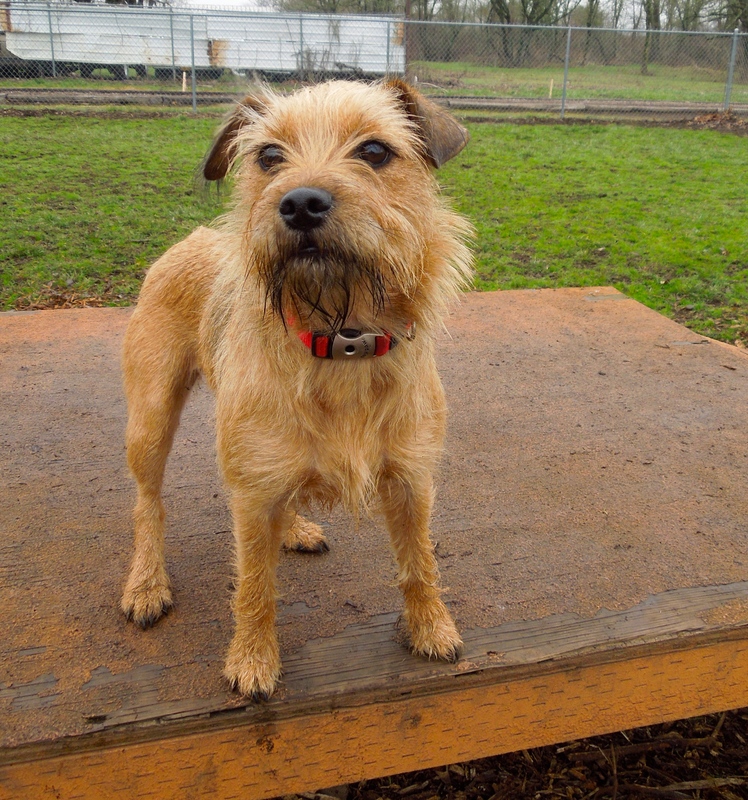 Rusty is a loving, happy boy who just wants to be with his people all the time. He loves everybody and hopes for the perfect retirement forever home very soon. 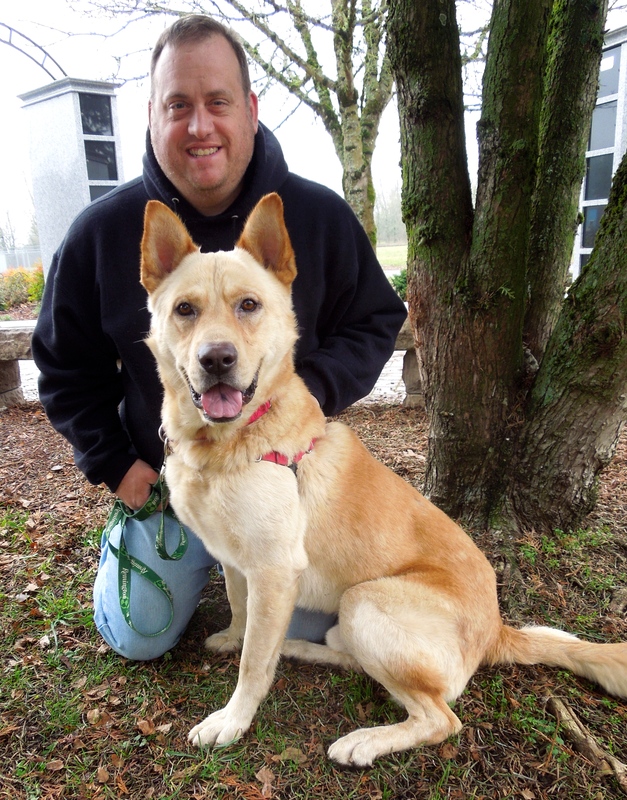 He will need a family who can deal with his wanderlust and is able to keep him safe while enjoying Rusty’s wonderful personality. Everyone who meets him loves this sweet boy. Here he was on Sunday with Laslo and Katalin. I guess I need some training, and boy, will we have fun during it! 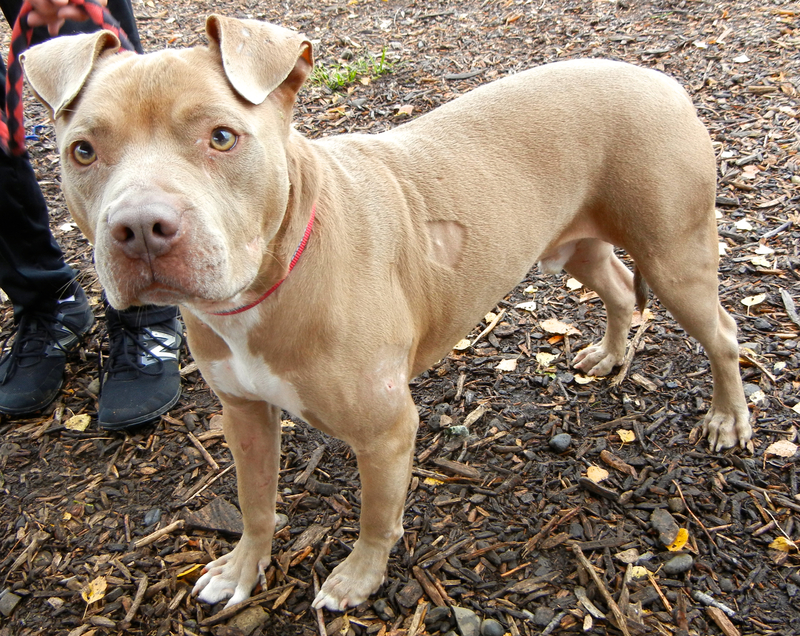 Meet Gordo, a four-year-old Pit Bull Terrier mix who is a goofy, happy-go-lucky guy. As you can see, he is eager to pose for pictures as long as treats are involved. 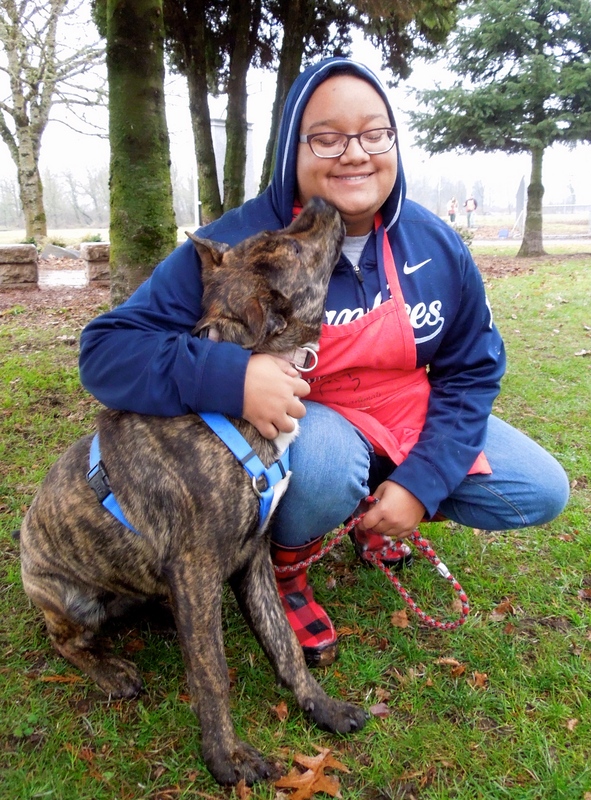 Gordo has been an outdoor dog his whole life and is ready and eager to move inside with his new people. Since he has never lived inside, he’ll need some tips on house-training, but because this boy is smart and a quick learner (as in, I’ll do anything for a treat!) it shouldn’t take long. He will need a secure fence, as he has been known to roam from his former home. Gordo will be taking some training classes off-site and he is very excited to begin them. 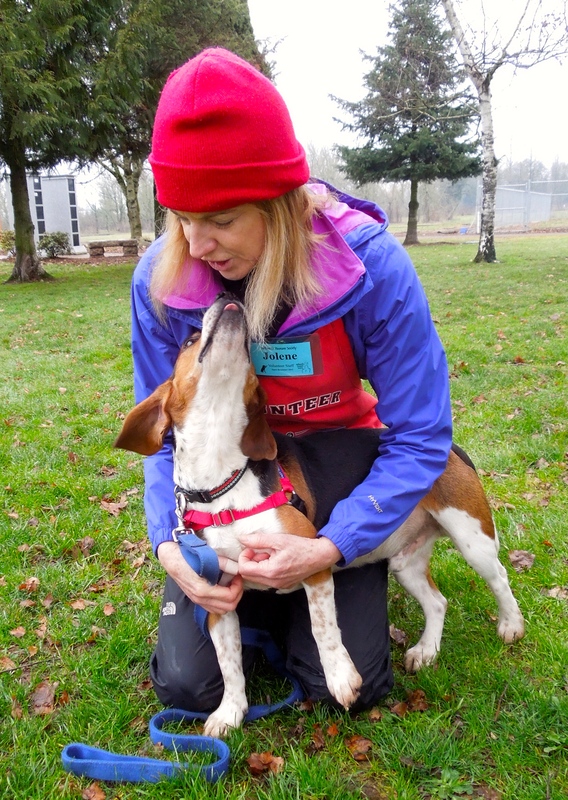 This boy has a lot of sloppy kisses and love to give his new family. Francis enjoyed spending time with this fun boy on Sunday. I had such a fun time with Gordo today! We walked around the path, stopping every now and then for a treat and to pose for my camera. He is such a happy guy and is always smiling. 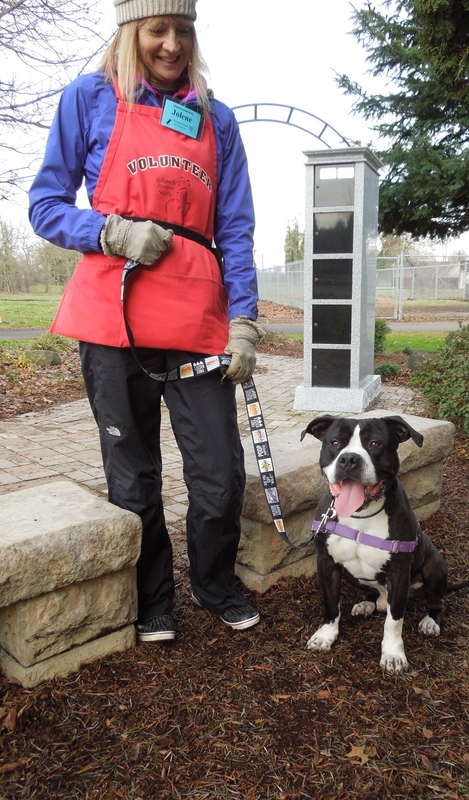 Here he was a little later with Jolene, showing off the leash donated by Becky and Steve. 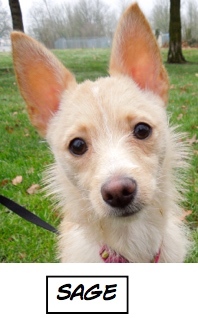 Emelynn’s pick this week is sweet Hazel, a one-year-old Terrier mix. 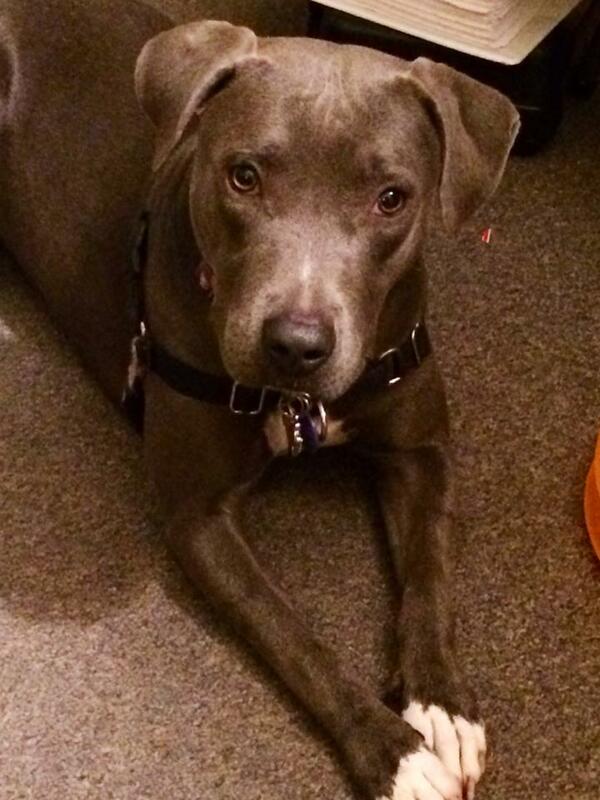 Here she is today sporting Becky and Steve’s leash and collar. She is such an adorable little girl! 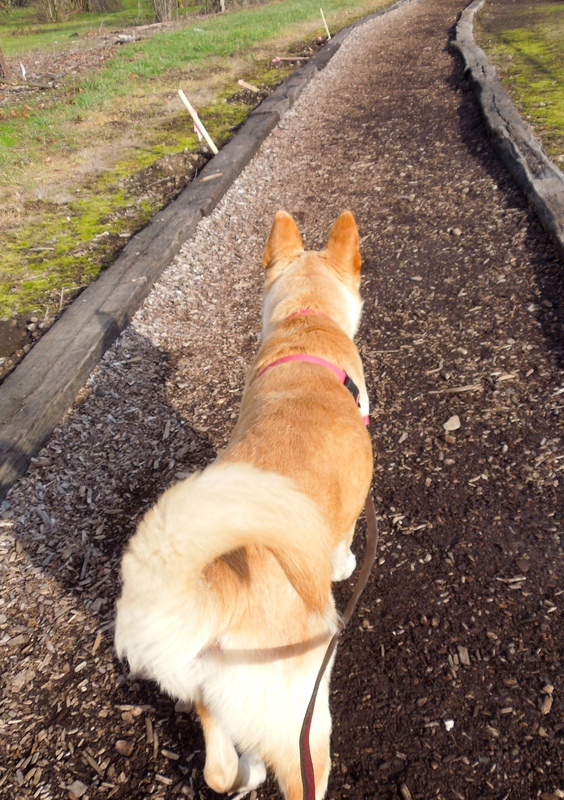 She walks well on leash and took my hot dog bits politely. 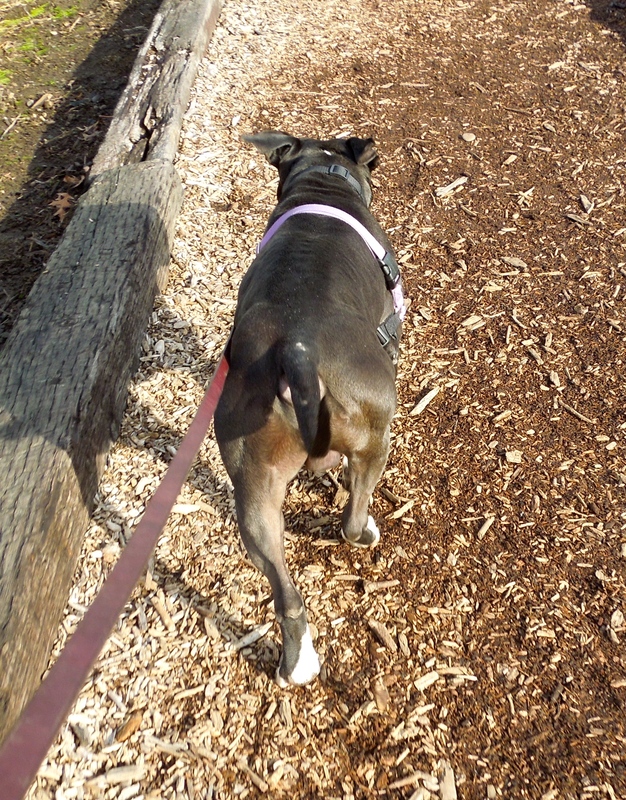 As you saw in the photo from playgroup, she loved dashing around the yard with the Rough and Rowdy dogs. Here she was taking a break from racing, posing on the platform for me. Hazel has a hold, so I’m hoping she’ll be going home very soon. I’m a little shy, but with you helping me to become more confident, I’ll be a wonderful friend! 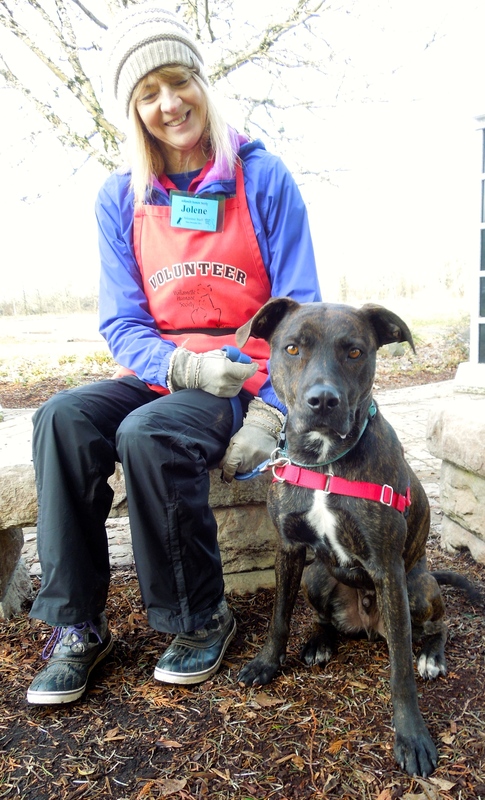 This is Beau, a two-year-old Plott Hound mix. He is a very smart and eager boy, but a little fearful of new things, which may explain why I couldn’t get him to smile for me. He is house-trained and walks extremely well on leash. 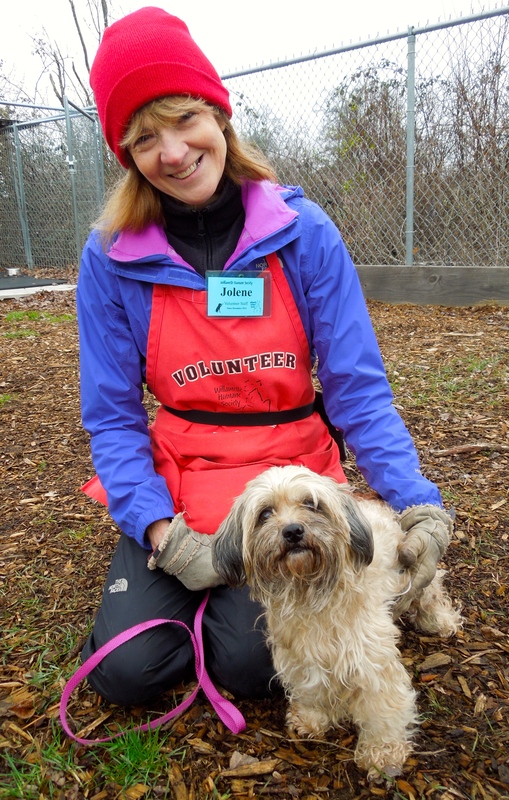 Jolene couldn’t say enough good things about this quiet, gentle guy. She even worked a little on some weaving-between-legs training, and he started catching on right away. He is food-motivated, so will be fun and quick to train. 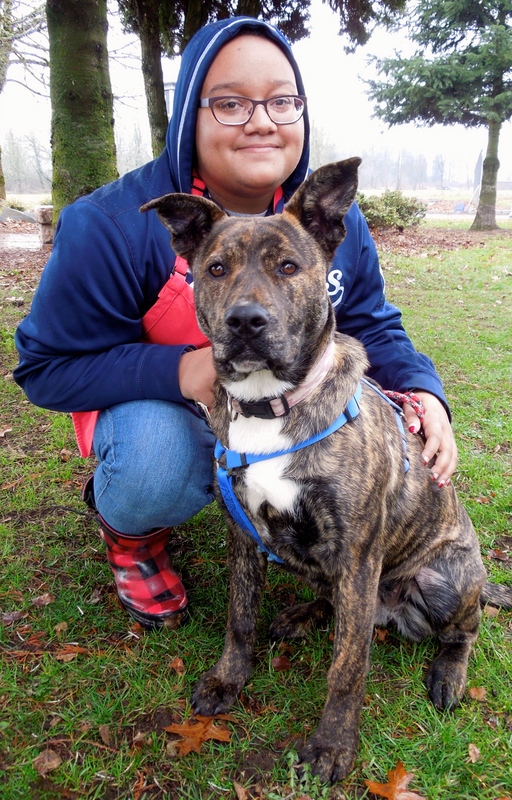 Beau will make a terrific best friend to some lucky person. 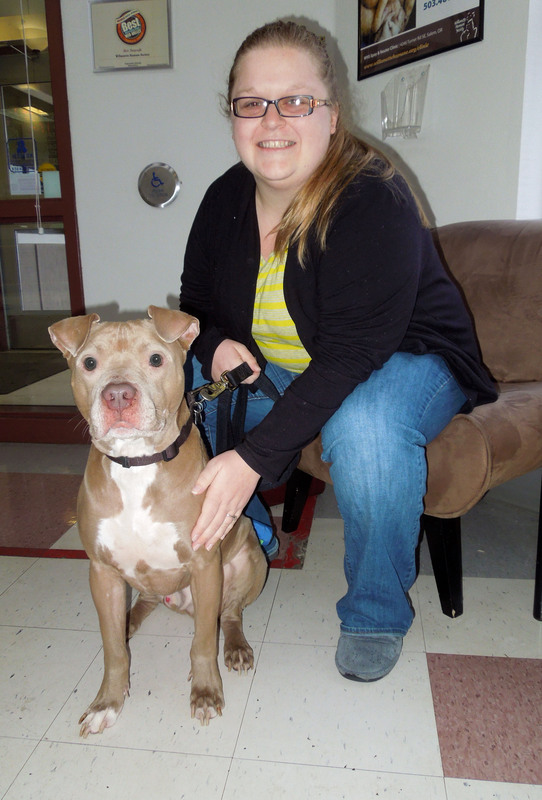 Those who are staff and volunteers at WHS will remember Honey Bear, a very cute little Pit Bull Terrier mix who came to us on a S.T.A.R.T. transport and was adopted soon after he arrived in December of 2012. Here is a picture I took of him when he was at the shelter. Just as I was about to leave WHS on Sunday, someone excitedly told me that Honey Bear’s family was visiting. Of course I had to ask if I could snap a photo. They had come to buy him a new food puzzle. They said he was such a wonderful dog and they are so happy that they adopted him. His name isn’t Honey Bear anymore, I can’t remember what it is now. But what a great life he is living! So happy about Summer. So glad people had been feeding her. She looked great. Just wish they had caught her instead of just feeding her, but maybe they couldn’t. 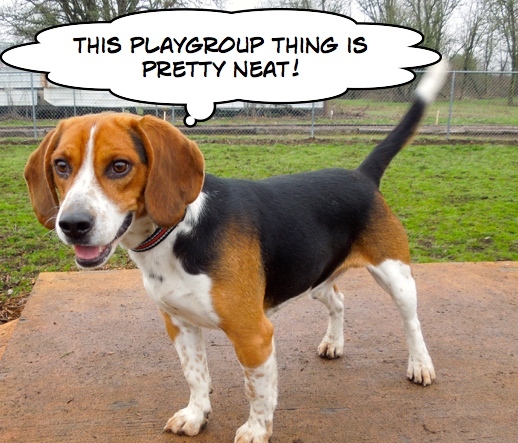 Loved the play group captions again. Wow a place to meet a friend!